As the MWC 2019 madness was merely beginning, Microsoft discreetly put the Surface Pro 6 on sale yet again a couple of days ago, which very few people probably noticed. Thankfully, this is not just another one of those 24-hour-only deals, running until March 2 or "while supplies last" at the company's online and offline stores in the US. You can also find this versatile Windows 10-based powerhouse selling for the same $260 off its list price at Best Buy, although the third-party retailer doesn't mention an expiration date of its own. Technically, the 12.3-inch tablet has been available at an even heftier discount at one point in the not-so-distant past, but this time around, you're looking at a substantially marked-down entry-level configuration with an Intel Core i5 processor, 128GB SSD, and 8 gigs of RAM, sold alongside a detachable keyboard. The 2-in-1 bundle sets you back $799 instead of a regular combo price of $1,059, but it's worth pointing out that you still need to pay an extra $100 for a complete productivity and creativity-enhancing package also including a state-of-the-art Surface Pen. 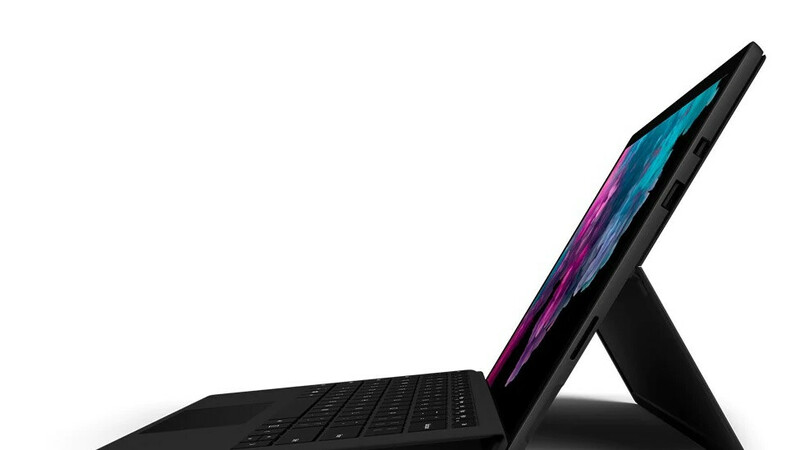 Even if you don't buy the optional stylus, a Microsoft Surface Pro 6 paired with a Type Cover can help you get some serious work done while on the move, thanks to that aforementioned 8th-generation Intel Core chipset, a beautiful "PixelSense" display with 2736 x 1824 resolution, some genuinely impressive battery life (up to 13.5 hours of continuous video playback), a full-size USB 3.0 port, microSD card slot, stereo speakers with Dolby Audio Premium enhancements, and yes, even a headphone jack. The tablet is relatively lightweight too (all things considered), tipping the scales at 770 grams by itself, with the Type Cover weighing an additional 310 grams. At $799, Microsoft's direct competition in the "pro" tablet arena can barely offer you an 11-incher packing 64 gigs of internal storage space, with no microSD support or keyboard included. So, yeah, this is a pretty great deal that Windows 10 enthusiasts may not want to miss.